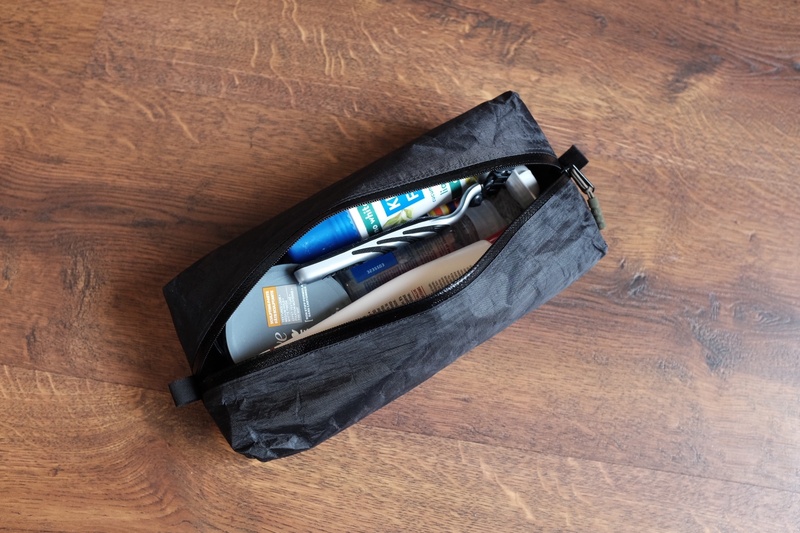 So I was casually keeping my eye out for something different when I found this neat pouch on Etsy (regular size). 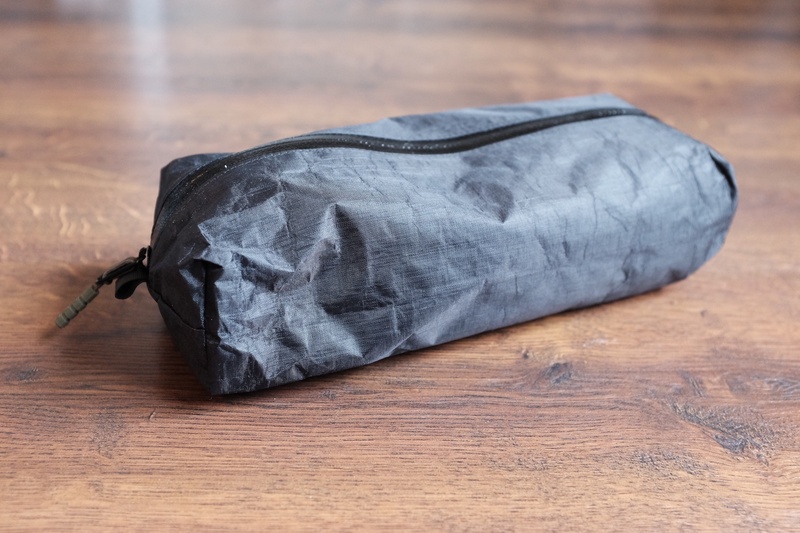 Made out of Dyneema Composite, this is a neat little pouch which was also surprisingly cheap for Dyneema. I bought it thinking it would make a nice pouch for something but I didn’t know for what. And then I stuffed it full of my toiletries and I was very happy with it. 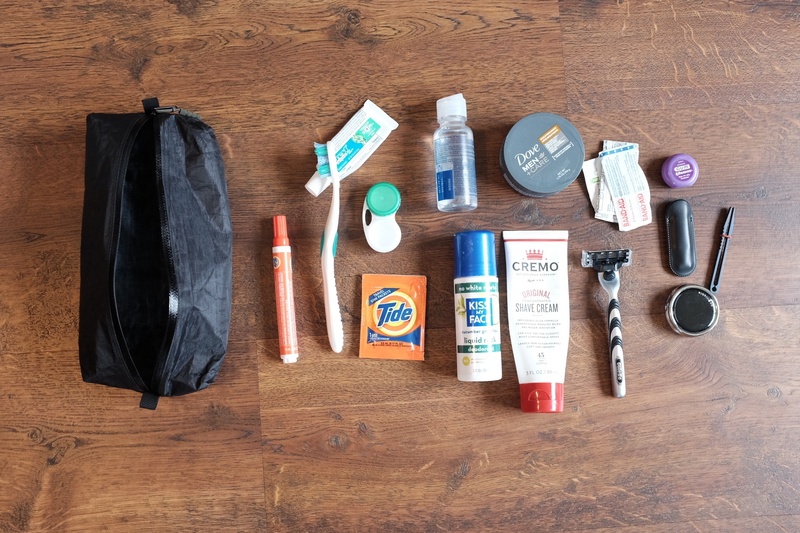 The Size: it’s long enough to hold a full sized tooth brush with no acrobatics needed to put it in the case. And voluminous to hold everything else, and then some I might want. 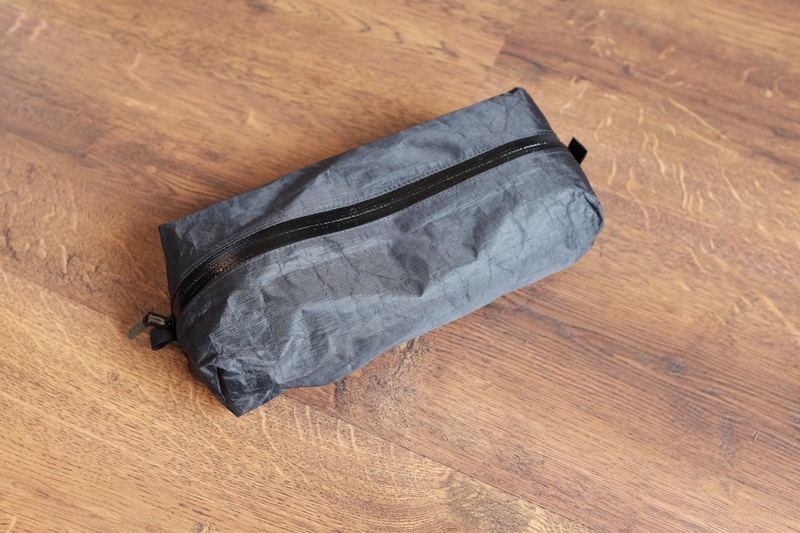 The Material: not only is this material super thin and light — making the pouch crumple down to a size no bigger than what you are carrying, but the whole thing is more or less waterproof. It will contain any spills and if you set it on a wet counter, you’ll also be fine. And toothpaste wipes off of it easily. There’s not much else to say about this. It’s dead simple, and simply perfect. In addition to what I show in these pictures I often cram a pair of eye glasses in the pouch too. I love the size, shape, and weight. Highly recommended.